Up-and-coming floral designer Cara Kryzik is about to score the wedding of a lifetime—one that will solidify her career as the go-to-girl for Savannah society nuptials. The only problem is, life seems to be conspiring against her. Cara's implacable father, "The Colonel", doesn't believe in Cara's business savvy and is about to call in his twenty-thousand-dollar loan. Then, on the morning that someone steals her dog, Cara's refrigerator goes on the blink, turning twelve thousand dollars' worth of gorgeous blooms into road kill. And if that's not enough, the dog-napper, Jack Finnerty, turns up at her latest wedding and then mysteriously leaves her stranded on the dance floor. All this turmoil will be solved if Cara can pull off the lavish Trappnell-Strayhorn wedding. The payday will solve all her problems—even the looming problem of a celebrated florist named Cullen Keane who is moving into her turf from Charleston. But the wedding is in six weeks, the bride is acting strangely (even for a bride) and the stepmother of the bride is becoming Cara's biggest headache. What Cara needs is to focus, but that's not easy when Jack is turning up at every wedding in Savannah (the man seems to know everybody), with Cara in his sights and seduction on his mind. 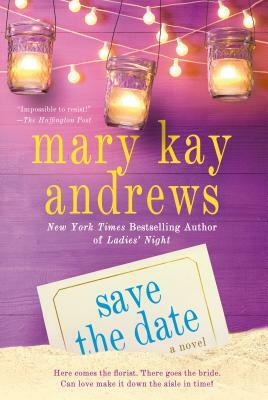 Mary Kay Andrews is The New York Times bestselling author of The Beach House Cookbook and 24 novels, including The Weekenders, Ladies' Night, Spring Fever, Summer Rental, The Fixer Upper, Deep Dish, Blue Christmas, Savannah Breeze, Hissy Fit, Little Bitty Lies, and Savannah Blues. A former journalist for The Atlanta Journal Constitution, she lives in Atlanta, Georgia.